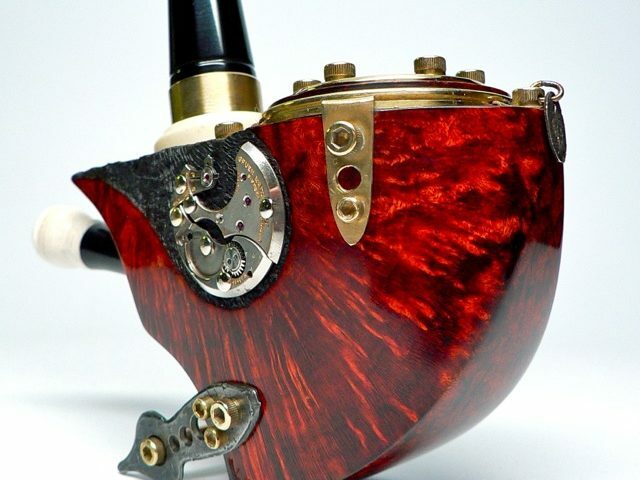 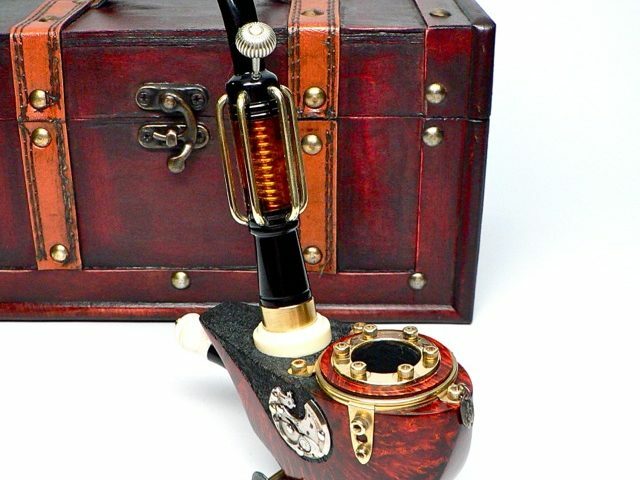 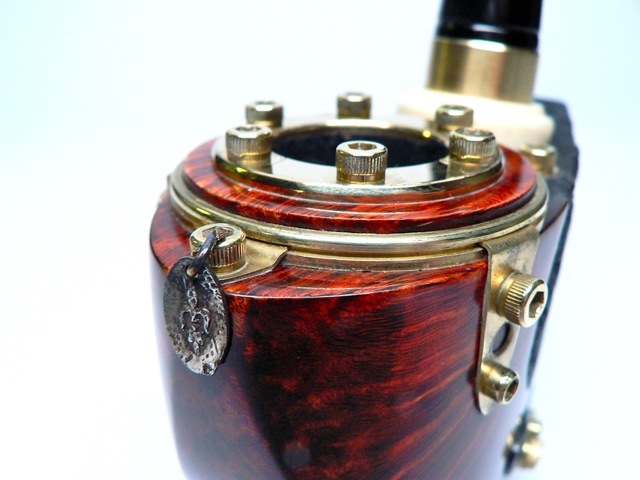 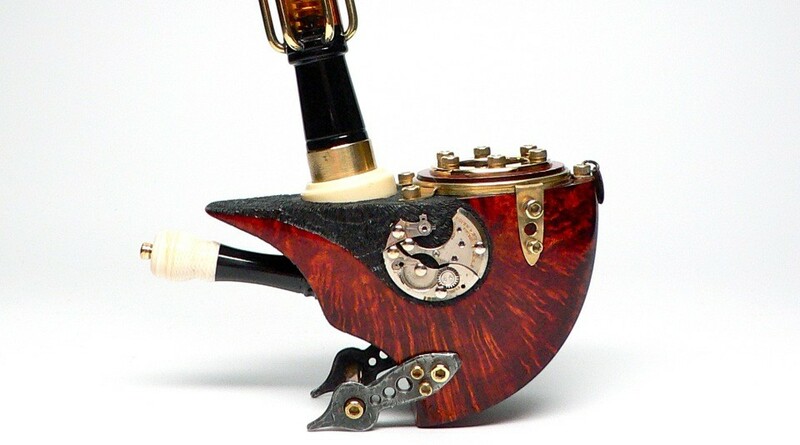 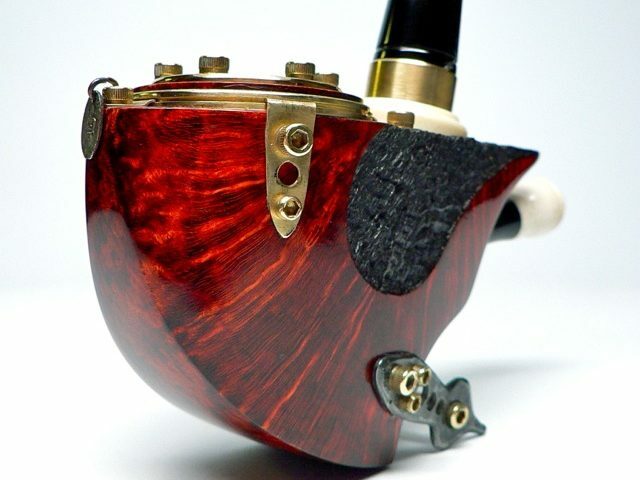 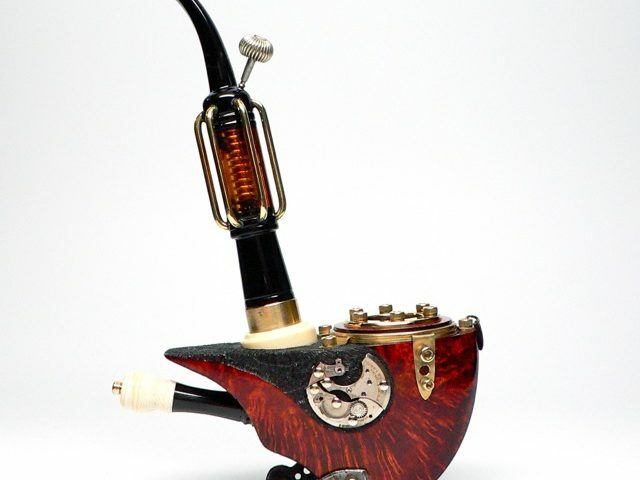 This is the next in the SteamPunk pipe line. 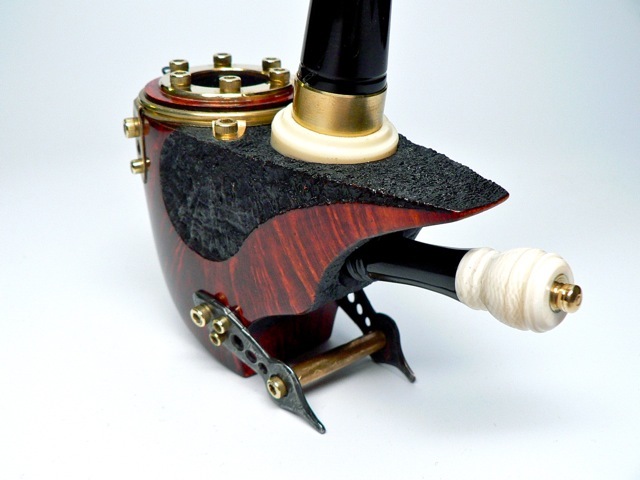 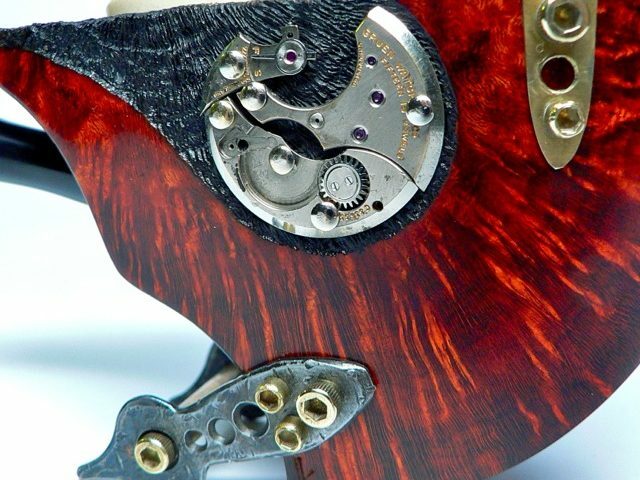 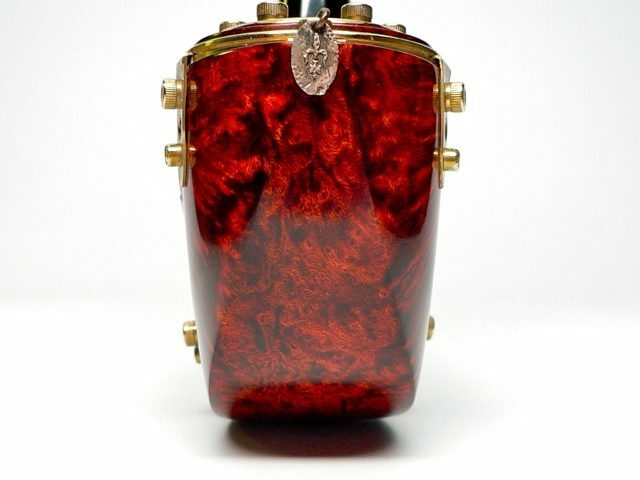 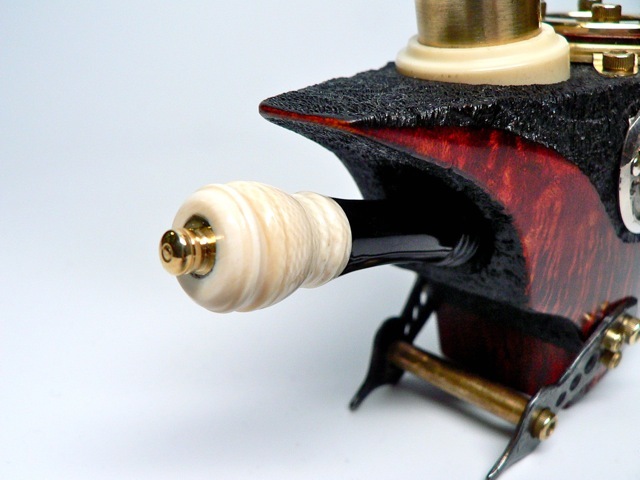 The stummel assumes a zeppelin or airship form and has a beautiful contrast stain with select blasted sections. 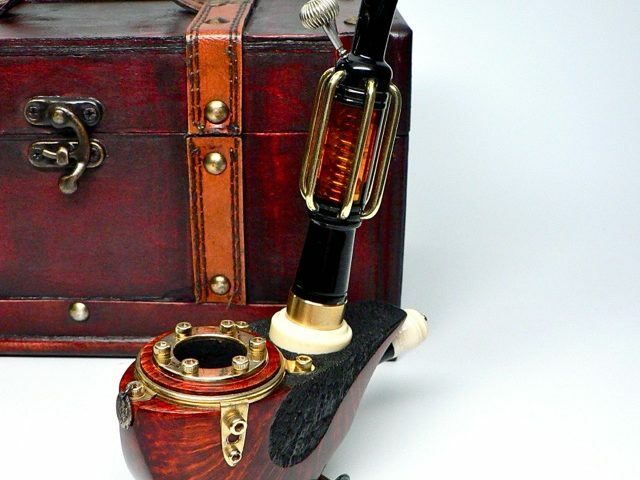 There is a generous portion of brass detailing the pipe along with bakelite and pre-ban elephant ivory. 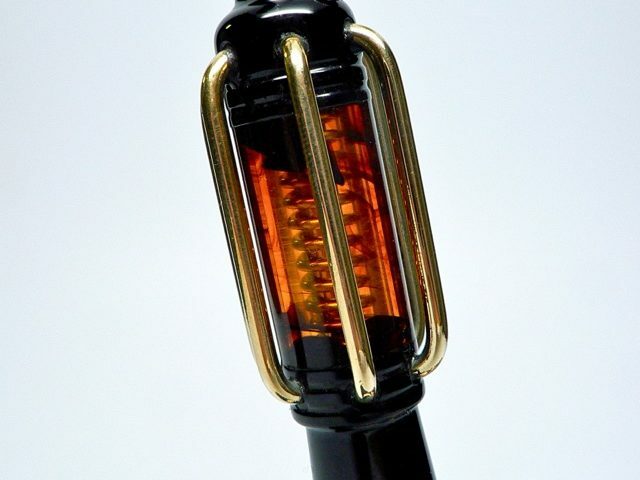 The stem contains a segment of amber acrylic surrounding a stainless steel spring and inner airway tube. 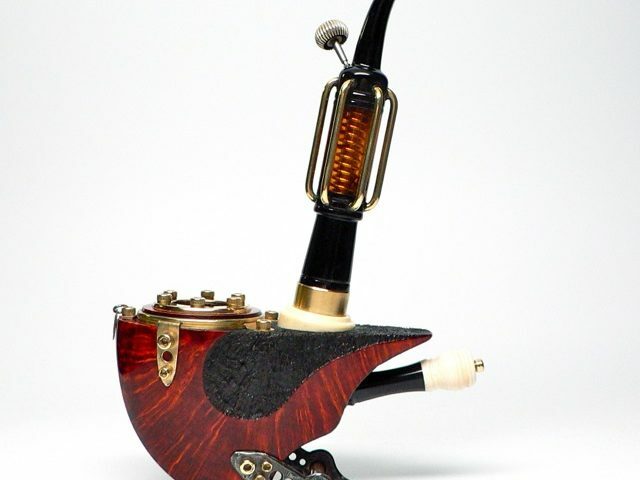 Care must be taken with this pipe while smoking, it just may take off!